Eliminate the need for extra steps and increase your productivity in your material handling process. Instead of bringing product to the stationary (fixed) scale, put a scale where your product already goes. 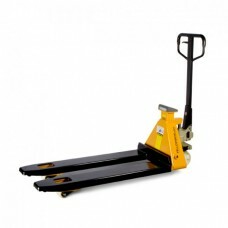 Yellowbox offers the best value scale pallet truck in the market.